Also re-issued in brown 'Sega Classics' packaging. 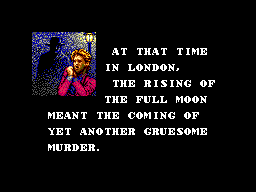 "The shadow of Dracula has spread over Victorian England. 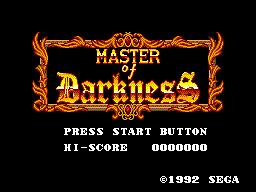 Make your way through strange and forbidding streets and cavernous warehouses while fighting his army on monsters. 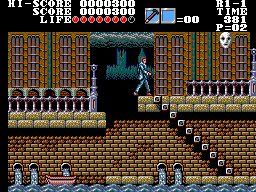 Find Dracula, the Master of Darkness, and rescue England from his terrifying grasp."